Our product range includes a wide range of my fun time bumper coloring book - 1, my funtime bumper coloring book - 2 and 365 days coloring book. 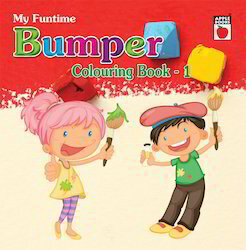 My Fun Time Bumper Coloring Book - 1 offered is a softbound book of 68 pages that encourages creativity and comes with child friendly illustrations, coloring pages, color posters and activity worksheets that makes painting a fun activity. It is best suited for crafts and activities for preschool, kindergarten and early grade school kids and is perfect for adding interest of a child to painting activities as well as introducing them to different colors. The book supports the efforts of parents, teachers, and educator to make preschoolers explore creative world of drawing. The pages include dog, animals, children, and many more interesting pre-drawn caricatures to paint. My Fun time Bumper Coloring Book - 2 offered comprises 168 page softbound finish and is a fun time activity to engage child’s attention in. The pages are on a variety of themes that children can color and come with support of worksheet that assists in reinforcing concept & recognition of colors. Further, the sheets help kids develop eye-hand coordination and color concepts and provide a strong foundation for kid's early learning needs. 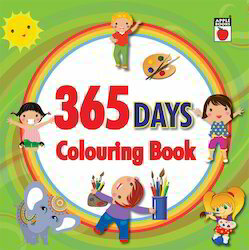 365 Days Coloring Book offered comprises 376 pages and is available in softbound finish. The coloring book encourages creativity and features variety of color concepts to engage child attention. Featuring child friendly illustrations, it works as a simple introduction to colors for toddlers and preschoolers and are fun and instructional to go through. Being suitable for toddlers, preschool and kindergarten children, the worksheet assist in reinforcing concept & recognition of colors and color words. Further, the sheets helps kids develop eye-hand coordination and color concepts. 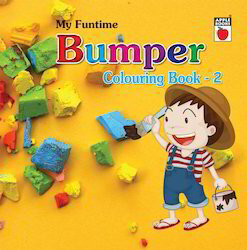 Looking for My Funtime Bumper Colouring ?